Sales, Marketing and Business Building. Step by step tutorials, courses, laser coaching and feedback. Strategies and techniques to help you sell without feeling uncomfortable or sleazy. Who do you trust to give advice? Shouldn’t you go with mentors who’ve been there and done that? Coaches, community and discussion groups to take you out of isolation. Every business is different and we will provide support tailored for your business. Let us Help You Find & Forge Your Own Path to MORE CLIENTS, with ease and flow. Your business should be working for you. If you’re working too hard for your business, you’re not only feeling frustrated and exhausted, you’re probably missing out on the things in your life that you truly value. There is no one-size-fits-all formula for your business, but there are key components (including science) that can increase the probability that you can create success, profit and impact with your business. Not only that, if you’re going to stay sustainable in your business, your business has to be profitable AND it also has to afford you a lifestyle that nourishes your heart and spirit. It can be lonely working by yourself or with your small team, trying to figure it all out. In The Matrix you always have someone to brainstorm with, and be held to a higher vision. 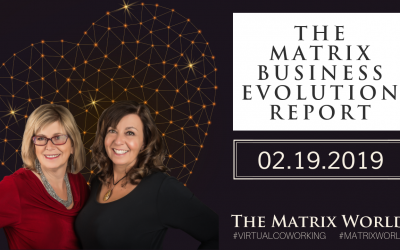 In The Matrix you’re going to find the support, inspiration, information, education, mentorship and community that will help you make your business a source of profit and joy. We will give you the tools, support and community you need to build a successful, heart-centered business! Websites, Sales funnels, Plugins Membership sites, All the techy stuff explained! Anyone building a business from their heart and love of what they do. I believe a small group of passionate people can change the world. I am excited to do my part in pushing humanity forward. I want to support myself and my family financially. My income needs to be high enough to give back in many ways. I understand that life has ups and downs, nooks and crannies and I’m in this for the long haul. My business can help people. If you answered “YES” to any of these statements, join us now and let’s help humanity together. Many entrepreneurs are full of ideas and inspiration, or they know there is an idea somewhere inside of them but they feel confused about what how to organize it in a way that makes sense. THERE'S A BOOK, COURSE, SPEECH, WORKSHOP RETREAT. YOU HAVE A MILLION IDEAS BUT THEY AREN'T CONNECTED. Big ideas, big dreams. Are you qualified? Where do you start? Could it be part of your path? (Hint, if you are thinking of it, then YES, you can do it! You might just need support, coaching or a plan to help you get there) You don’t know which is the ideas is your purpose or which is the direction to go. They all seem dis-jointed. You’d like to do them all, eventually, but where to start? Most of our clients are service-based professionals who have committed their lives to helping others. It’s easy when your life path is to nurture others to forget to nurture and value yourself. It’s common for people like you to be afraid that the process is going to take vital time away from family, other obligations and commitments. What we’ve seen over and over again is that when you create the space to get your own creative juices rolling, the intent and commitment you make to initiate the business process HELPS you integrate creation and money into your lifestyle so that it becomes easy for you. So you don’t do it. We’ve found through working with thousands of clients, that there is a science to upleving yor business so you can give back.. We’ll give you the initial steps to prepare you to launch your message so that you can be prepared for what’s next.You can relax with the confidence that we’ll help you take the guess work out your business. Together we are building the community we wish we’d had a few years ago, and one we want to belong to now. 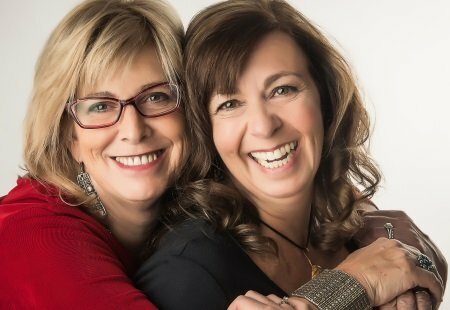 Between the two of us, we’ve owned three publishing companies, run multi-million dollar home-based businesses, written six best-selling books, and spoken on large stages (including TEDX). We are coaches who specialize in helping service, purpose and mission based entrepreneurs build their businesses through heart centered marketing and sales. The achievements we’re most proud of is that we’ve also raised an adopted child, 10 foster children, 5 step-children and 5 biological children, put 8 children through college, have strong marriages and taken care of our aging parents. We don’t live in mansions. We aren’t dripping in diamonds. We often wear yoga pants to work. Like all self-employed people, we have days when we fantasize about getting a J.O.B. and wonder what it’s like to live a “normal” life. We understand the challenges of having your own business and living a life rooted in freedom. And we wouldn’t change it for anything. This wonderful place makes it doable. Whatever “it” is. All of the pieces that make it difficult to do, this fabulous, frustrating world of being in business for ourselves, are brought together here in a beautifully cohesive way. It is more support and guidance than I could have ever imagined! 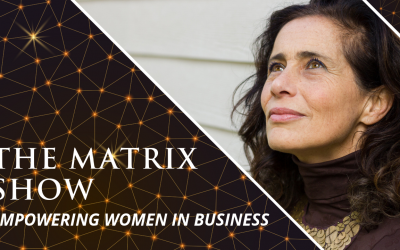 The Matrix is a totally new way of going about entrepreneurship and I LOVE it! It’s amazing to be able to connect with others who are building creative, purpose-driven businesses, and to receive the incredible wisdom and expertise of Karen and Michelle for a fraction of what I would pay to hire them as a coach. Find Your Balance. Set Your Goals. Take A Challenge. Reward Yourself. Don’t Wait Any Longer. What I love about the Matrix is the supportive community and the online & live training. I have found that the business courses can be easily followed by newbies like myself, and can produce great results. By connecting with others on the Matrix, I gained more clarity on what is needed to build my online presence. Today my website is more developed, and I am continually inspired to make and sell new digital products. If you enjoy learning, looking to grow your business, planning on writing a book, and/or love connecting with like minded-people, this is the place to be.